Many people face financial hardship caused by job layoffs, medical expenses, divorce or separation, death of a spouse, over-extended credit, or lack of money management skills. It can be stressful when financial problems lead to calls from creditors, expenses, and monthly payments that are more than you can handle. But there is help! CCCS is a nonprofit organization that offers you a helping hand with confidential, professional debt counseling. 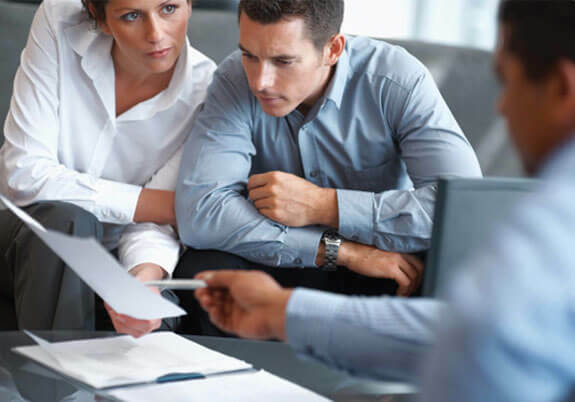 We’ll work with you to find a practical solution to your financial problems. Our programs have many times served to prevent bankruptcy. Once our clients enroll in our program, many creditors have elected to reduce or eliminate interest charges or late fees. CCCS is affiliated with the National Foundation for Credit Counseling (NFCC). We’re licensed with the Wisconsin Department of Financial Institutions and the Minnesota Department of Commerce. We’re also a Housing and Urban Development (HUD) Counseling Agency, approved by the Executive Office of the United States Trustees to provide bankruptcy counseling and education programs. All of our counselors are Certified Consumer Credit Counselors through the NFCC. Our staff also includes certifications in housing counseling, foreclosure prevention, and loss mitigation.